Color : white , orange . Material : MDF , acrylic . Accessories : acrylic logo , led light . 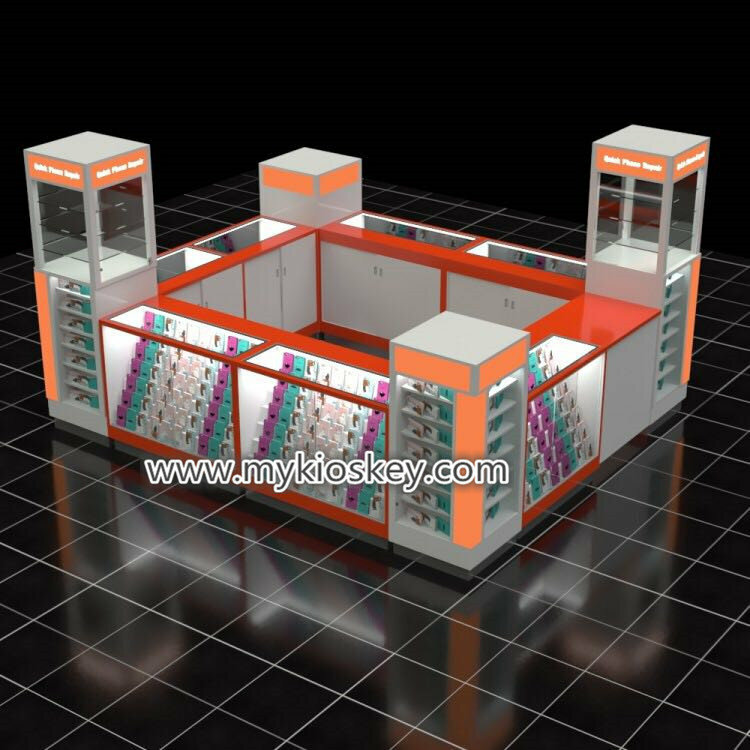 You can see whole kiosk mainly tone is white , match some orange color , total size is 12 by 5ft , very elegance and mini . 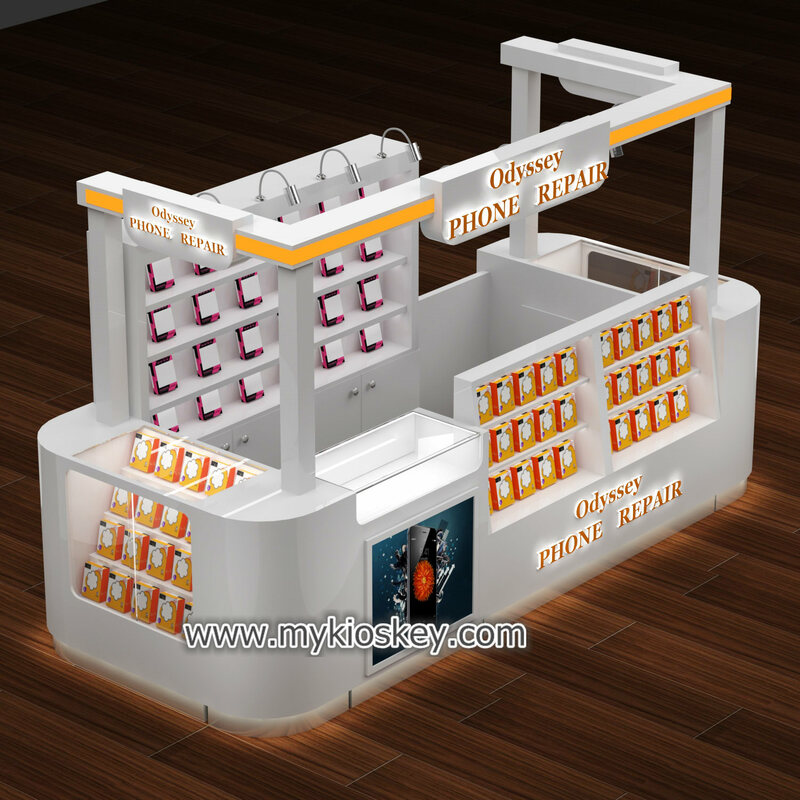 Basic material is MDF , surface is baking painting finished ,orange color acrylic with led light . 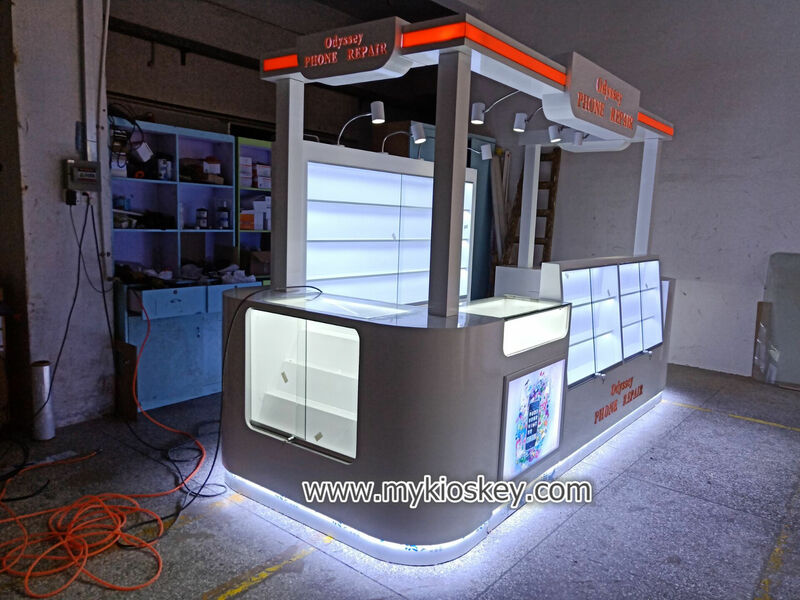 whole kiosk top with spotlight . 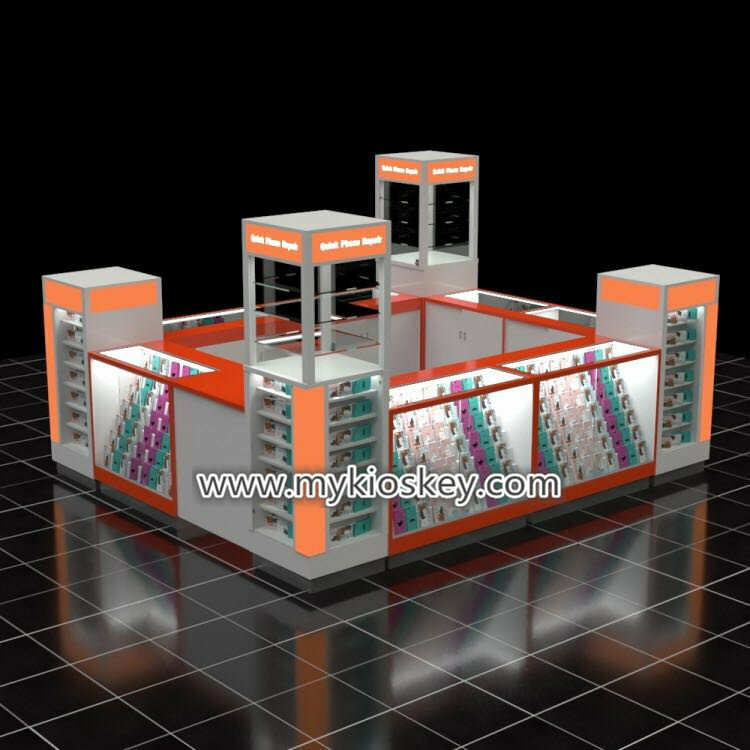 the front part is Ladder to show , back sides is shelves display . 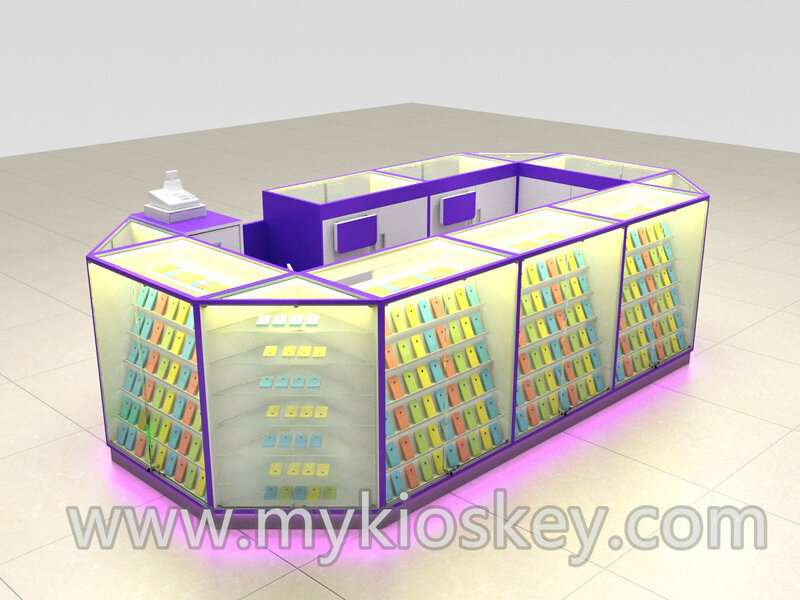 each shelves hidden led light strip . wooden cabinet , stainless steel skirting with white led light strip . it’s very high end and bright . 3.Some real production photos for your reference . 4. 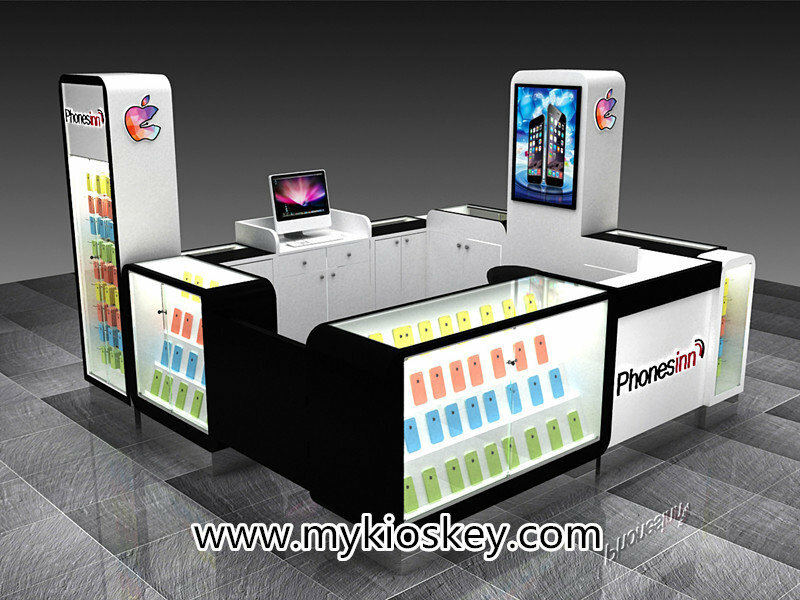 How can i customized a Mobile phone kiosk like this one ? 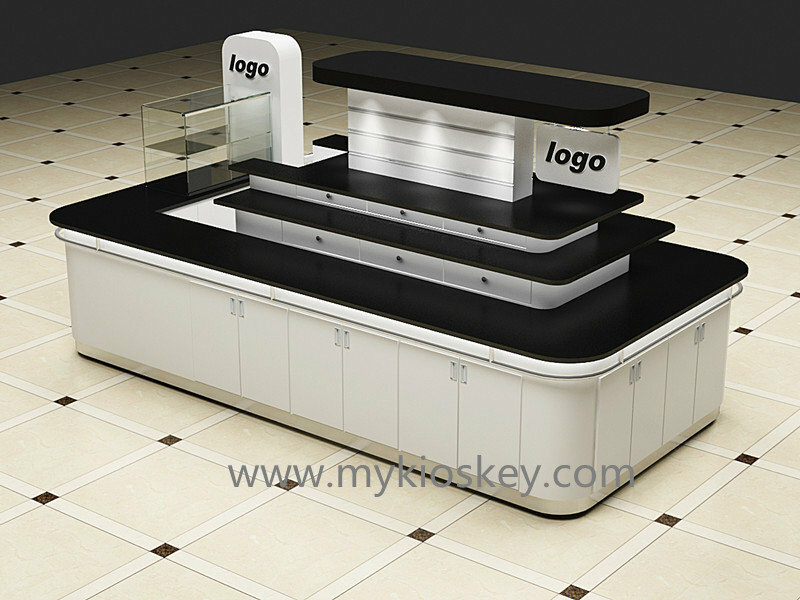 Step 2. find a professional factory like us help you design and build the kiosk . 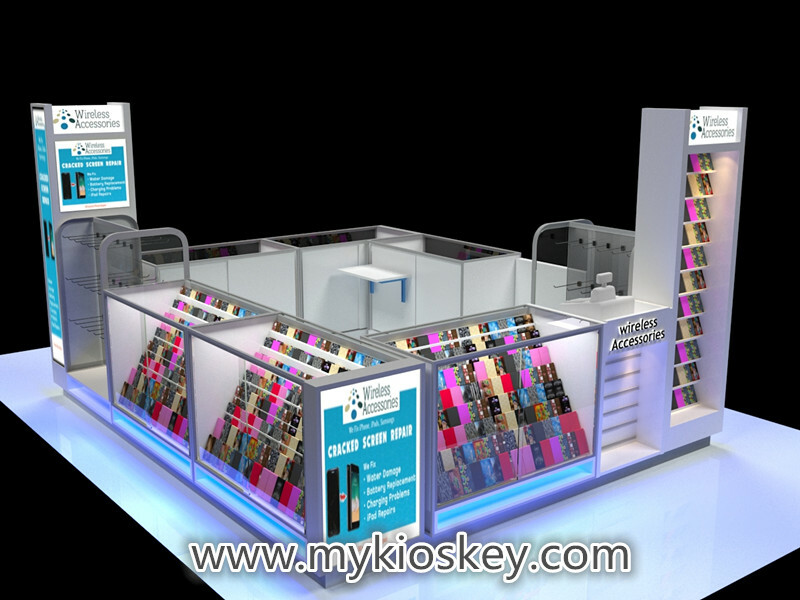 just send us the mall guidelines to us , we can help you make whole kiosk fit the mall requirement . 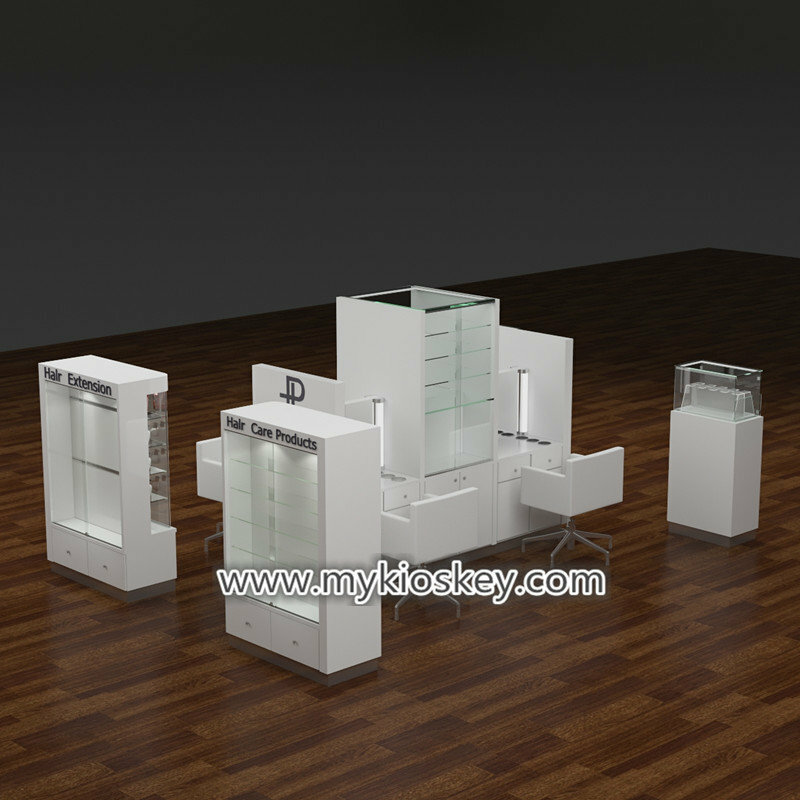 at first we can help you make a 3d design for get mall approval . 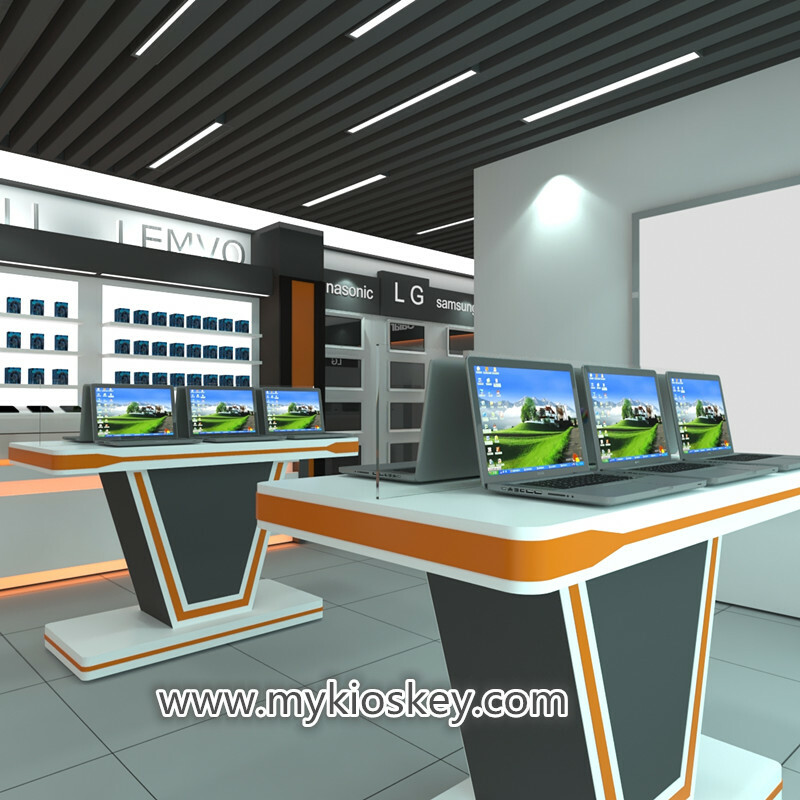 and then will provide technical drawing start production it . 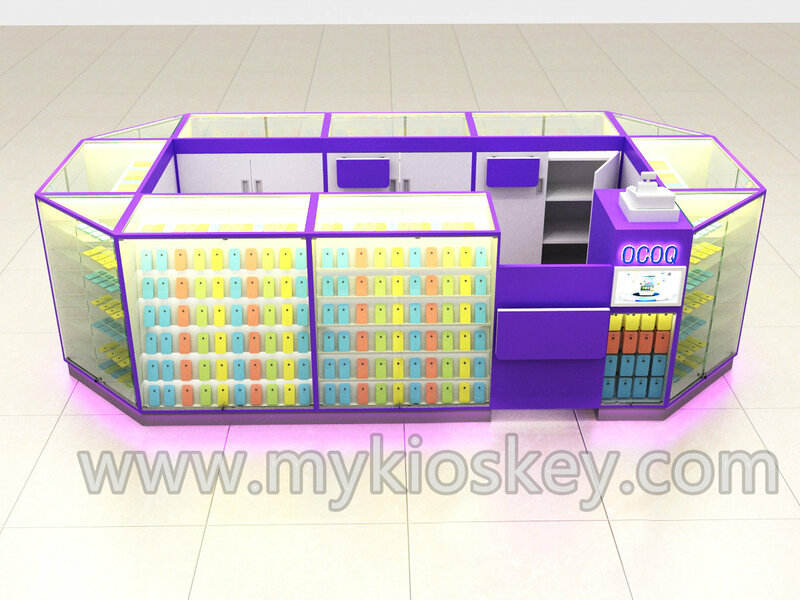 Step 3 . package and shipping this kiosk to your country , usually will shipping it by sea , but if you Eagerly receive kiosk , we also can help you arrange air transportation ．it’s very safety , all of our package are wooden box . 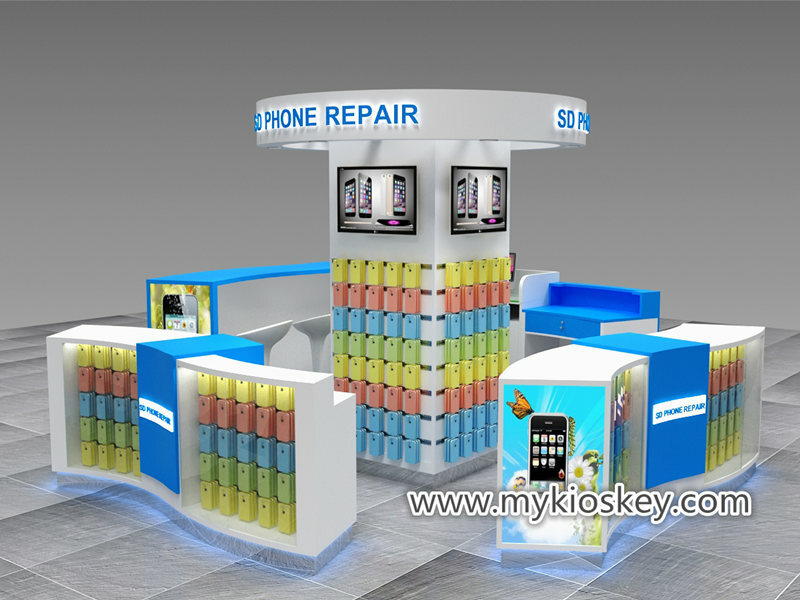 Step 4. assemble the kiosk . 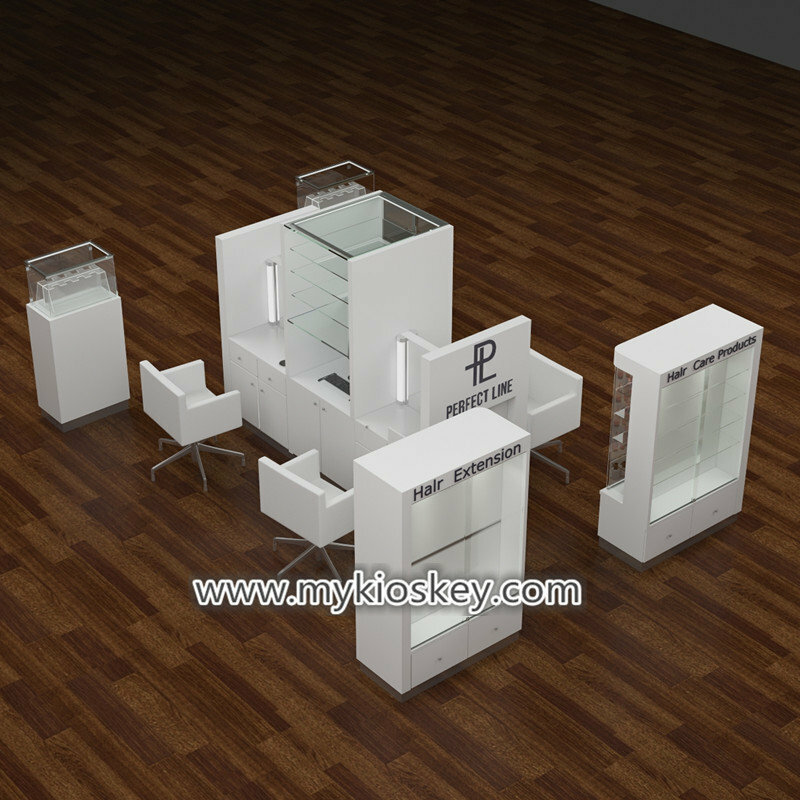 when we production this kiosk , we will cut it to some reasonable part , mark 1,2,3,4,5…. 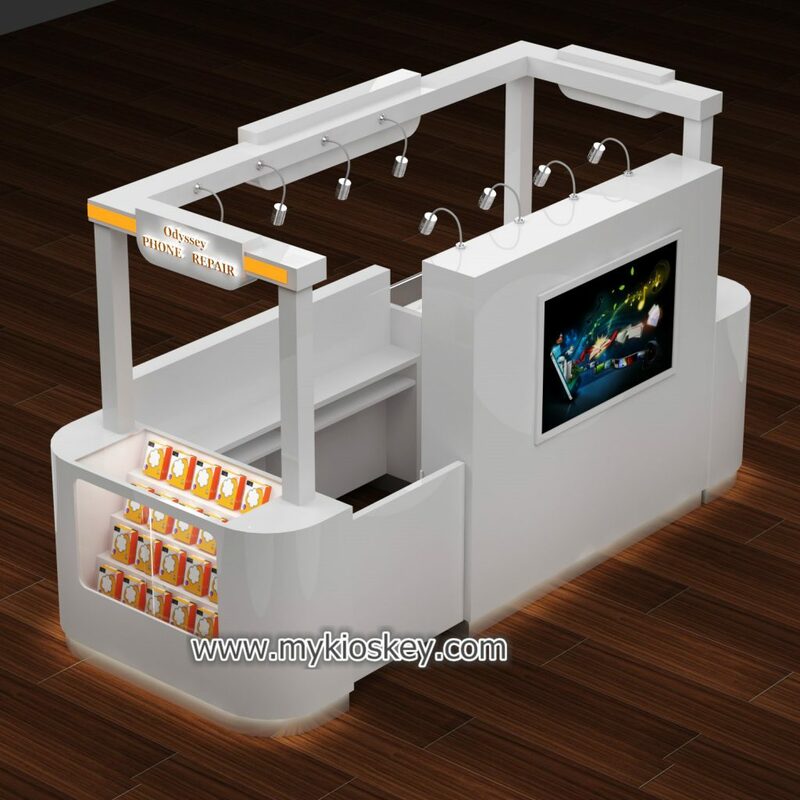 You just put them together in order, connect the wires, and the whole kiosk will work . 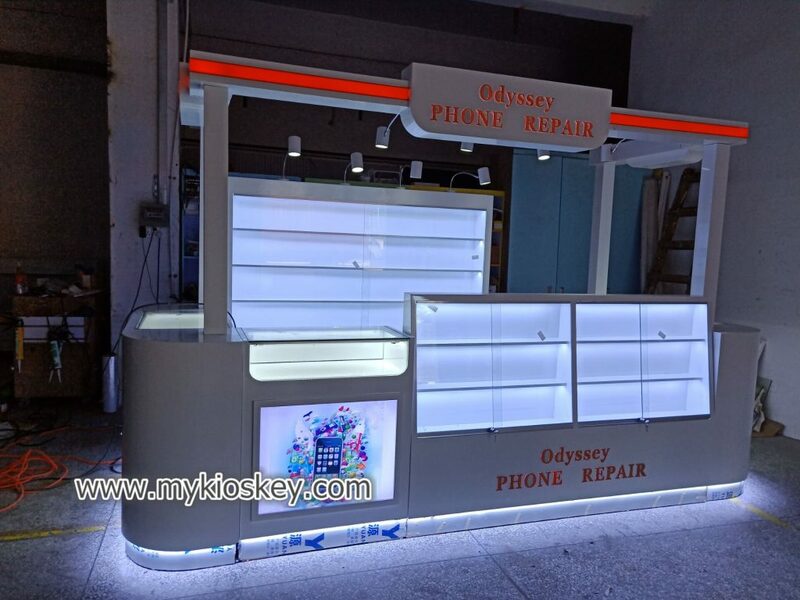 Thanks for your time and reading , if you need more further info or interested build a Mobile phone kiosk like this one , pls contact us as below for free , warm welcome inquiry , thank you !